California usury laws restrict charging of interest greater than that allowed under the law. The legislature sees fit to determine what the maximum amount of interest that may be charged for a loan. There are a number of exceptions and considerations to the law. 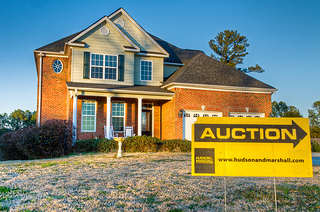 One important exception, provided in the California Constitution, is for “any loans made or arranged by any person licensed as a real estate broker by the State of California and secured in whole or in part by liens on real property.” Determining if a transaction may be usurious and parties may want to consult a Sacramento and El Dorado real estate attorney to be sure whether their deal fits. In decision last week by the Third District Court of Appeal, a disappointed borrower got the bad news that his lender could charge what he wanted. The lender was a corporation; its sole shareholder was a broker, who arranged the usurious loan. The broker did not get a commission, but expecting profits from the corporation was enough to find that he expected to receive compensation. The case is Gregory W. Bock v. California Capital Loans, Inc. Bock, trustee of a trust, needed a loan, and he was put in contact with California Capital. Leo was the sole owner of California Capital, and was also a licensed real estate broker. They made the deal, and Bock borrowed $1.2 million dollars at 15% interest, secured by a deed of trust on real property. Leo did not receive a commission on the loan. There was a default, and California Capital Loans Inc. foreclosed, taking back the property at a trustee’s sale in 2010. Bock sued, claiming, among other things, that the loan was usurious, and therefore the trustee’s sale was void. The applicable provisions of the California Constitution are implemented by Civil Code section 1916.1. What the code provides in this case is that, for the exception to apply, two things must happen: first is that the broker acts for another or others, not for himself. Secondly, he must receive or expect to receive compensation. 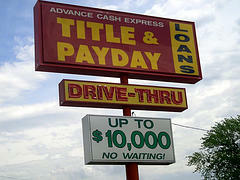 It is clear that a real estate broker can perform services for both lenders and borrowers (Bus. & Prof. Code section 10131). It is also clear that a corporation is a legal entity that is separate and distinct from its shareholders. ( An exception to the separate entity doctrine is the corporation can be proven to be the ‘alter ego’ of the shareholder, not argued by Bok in this case). As Leo negotiated on behalf of the corporation, and he and the corporation are separate entities, Leo was acting “for another” in the transaction. The court of appeals concluded that Leo was broker acting for another or others (the corporation), not for himself, and that he expected to receive compensation. The loan was not usurious, and the trustee’s sale was valid. Every year or two a similar decision comes down, testing the parameters of the exception with slightly different facts. Here, Leo knew what he was doing – he kept the corporation at arms length as the lender, and he served as a broker. He might have further insulated himself from the suit and appeal by taking a small commission from the corporation for brokering the loan.